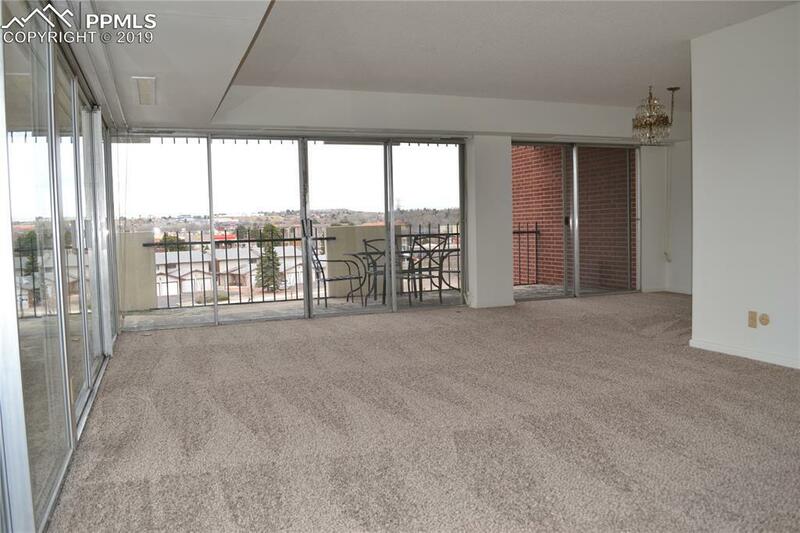 Satellite Hotel, 3rd floor, end unit, VIEWS, VIEWS, VIEWS from Cheyenne Mountain to Mount Herman. 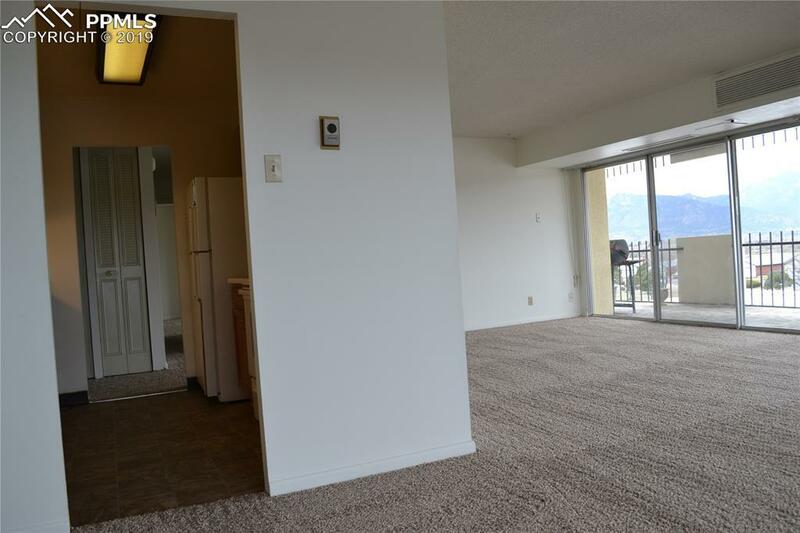 Unit A-310 faces the mountains and because it is an end unit has a giant, private balcony that wraps around facing west and north (approximately 560 sq ft of private balcony !!) giving you an endless view of Pikes Peak and the Front Range. The unit has recently been painted and has brand new carpet. Master bath will receive a new commode and vanity, kitchen will receive a new microwave. 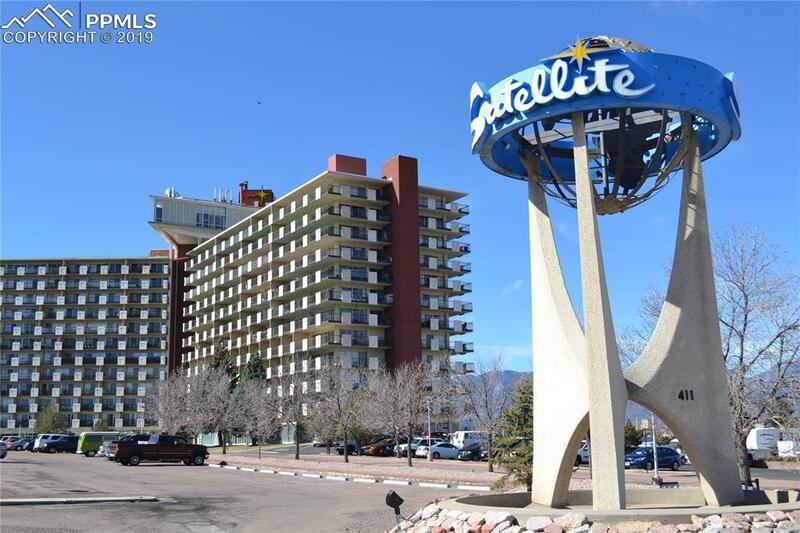 Enjoy all of the amenities that go with the historic Satellite Hotel to include seasonal pool, fitness facility, salon, barber, restaurant, gift shop, and local access to shopping, dining, parks, golfing. 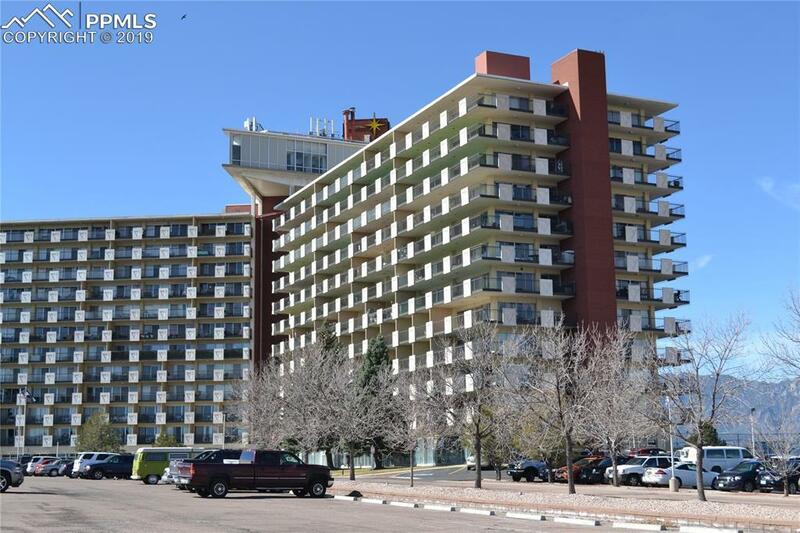 Easy access to I-25 and Academy Blvd to Us Olympic Training Center, downtown Colorado Springs, Colorado Springs Airport and any number of parks and recreational activities. Open parking in outside lots, assigned parking in parking garage. Assigned parking is NOT included with this property. Spaces are owned by private owners and may be offered for sale from time to time by private owner.